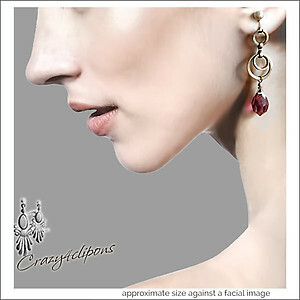 Features: A distinctly feminine vision resonates in these antique brass drop earrings. 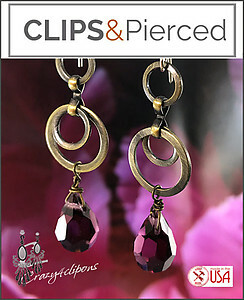 Crafted from antiqued brass links, they're characterized by a lovely faceted crystal teardrop. Pair them with romantic florals for age-old glamour.